Every time I am visiting Budapest, I rarely have time to anything but spending time in the city, socializing or visiting a new exhibition. Thus, except a very short visit to Szeged once and a little tour of the country just passing around Balaton, I never seen properly anything else. This time, I am decided to make it at least till Szentendre, the favourite weekend destination of both locals and expats. As usual, I have ambitious plans that can lead me as far as as Visegrad, 60 km. 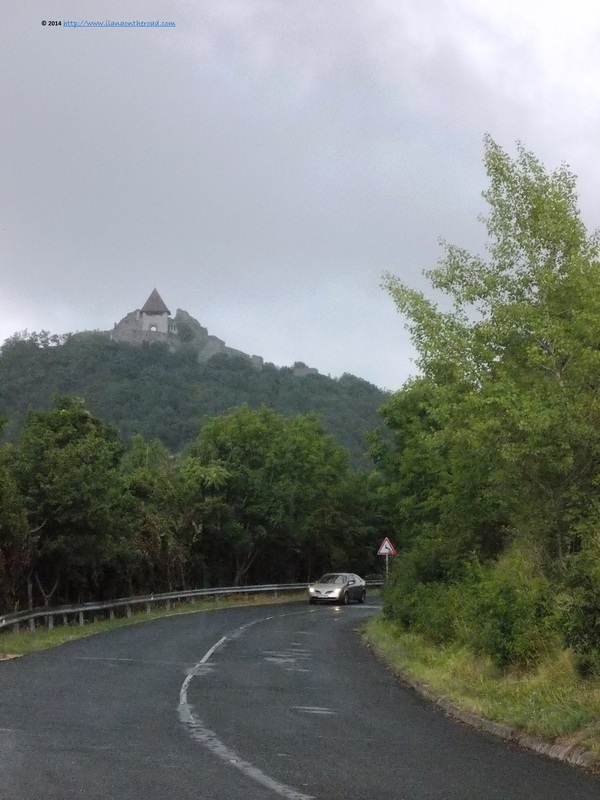 away from the capital city, close to the border with Slovakia and with the help of a guided tour I am able to make them both, by car. Otherwise, buses and trains are regularly leaving the city direction Szentendre - the ride is around 44 minutes - from where a connection by bus to Visegrad is possible. 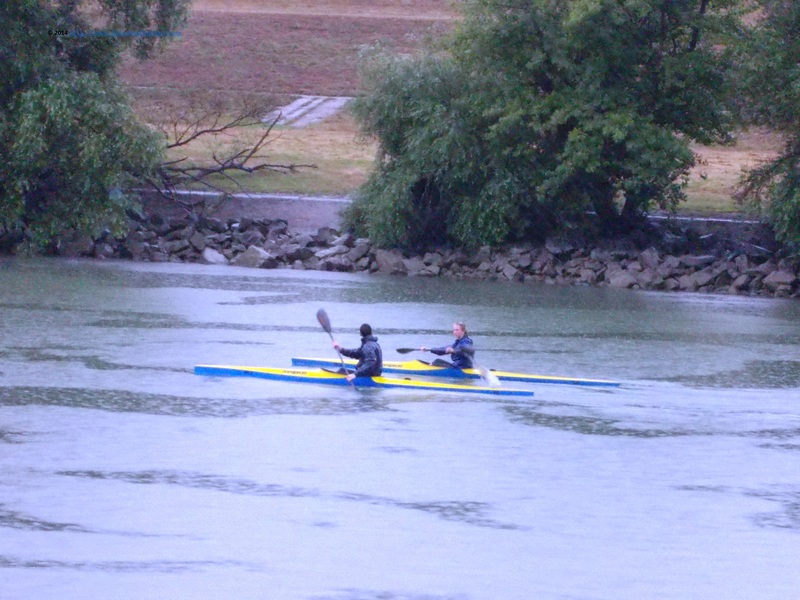 The journey from Budapest is going fine, passing near Aquaincum, a large archaeological site exploring the first capital city of Pannonia during the Roman Empire, or Kalanpark, the adventure park built on the site of a former camping park. 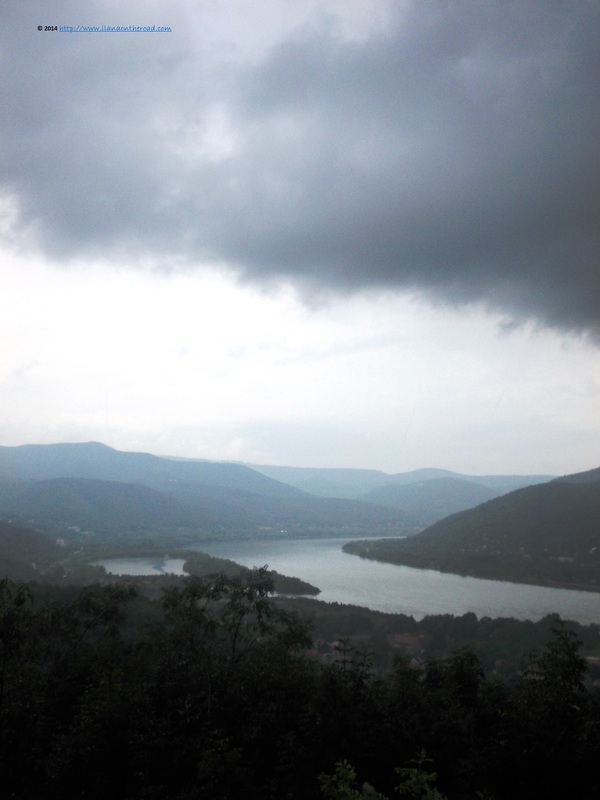 We are following the line of the Danube, a bit on the raise after the rain. 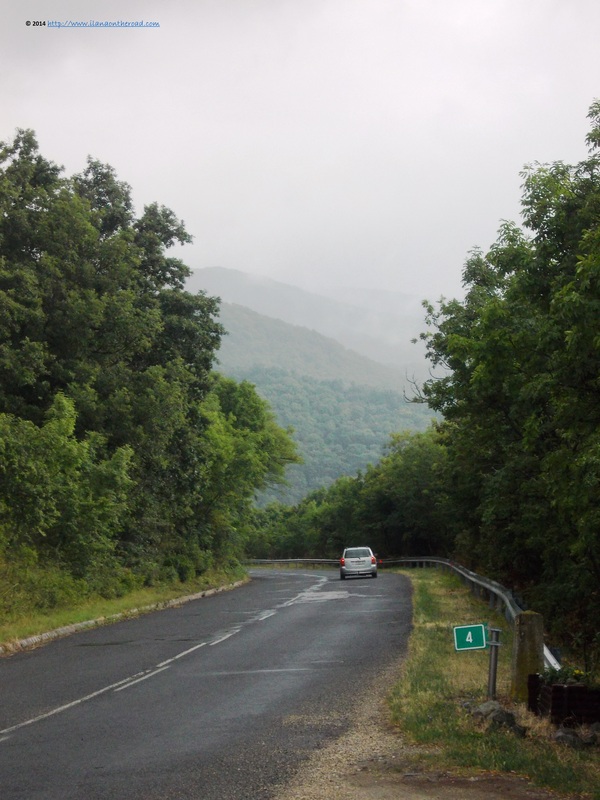 We can follow it as far away as near the border with Slovakia, a junction point that we can see from the many panoramic view near the road. Visegrad means upper castle or fortification in Slavic. There is at least another city with the same name in Bosnia-Herzegovina. A small castle town, it hosts the summer palace of king Matthias and a medieval citadel, built during the reign of King Bela the IVth of Hungary. For the observers of the post-communist Central and Eastern European politics, Visegrad was known for giving the name of an alliance between Czech Republic, Hungary, Poland and Slovakia aimed to speed-up the European integration of those countries. Unfortunately, the rain doesn't seem to stop and thus, a walking till the top of the hill is out of question. Back in the car, we drove back to Szentendre, passing near an impressive number of small houses on sale. As our guide explains, many of them are on the market for almost 5 years, the reason for not finding new owners being either the limited financial resources of the population or the problematic neighbourhood with the Danube whose waters are raising dangerously. 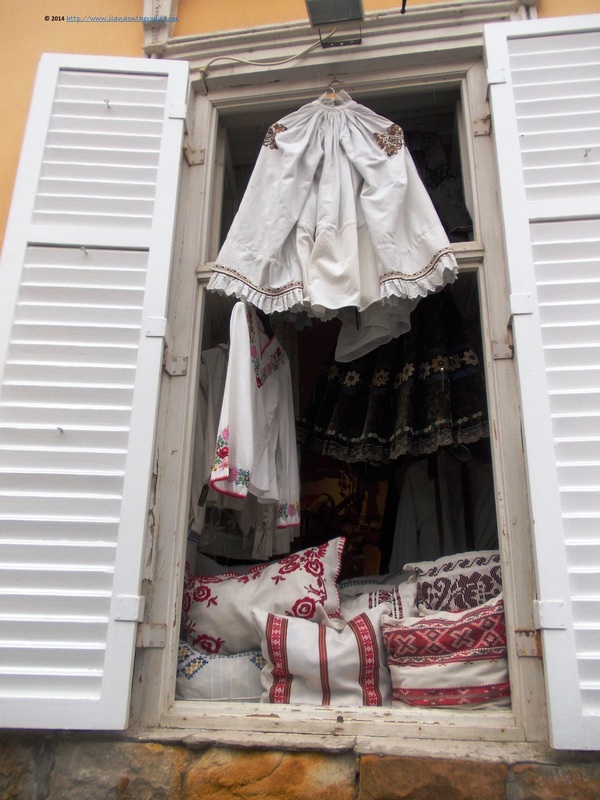 Most pictures from Szentendre I've seen are of sunny alleys with colourful flowers and busy outdoors. There are tourists and a lot of colourful merchandises displayed but there is no sun. 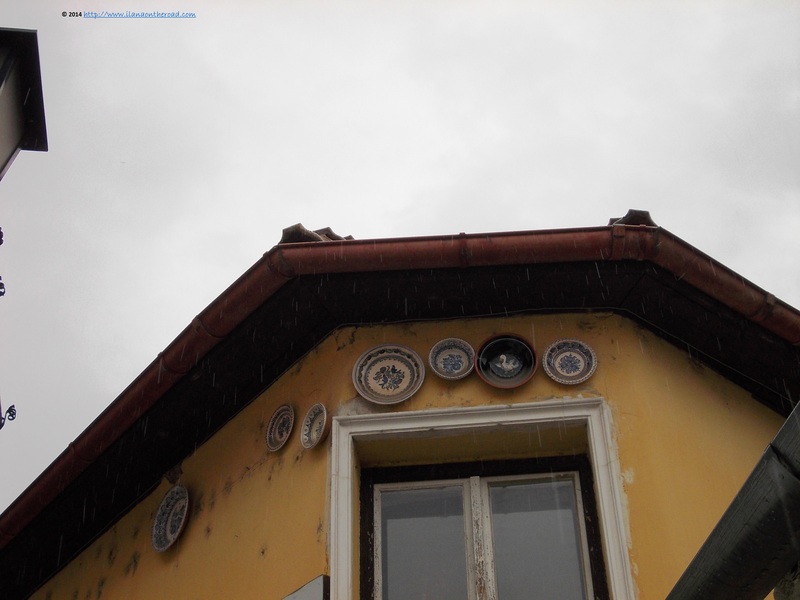 The vivid colours of the houses or of the pottery brings more warm and make me forget about my apparent failure to see what most travellers see. Instead, I am trying to enjoy the architecture, spending as much as possible time indoors. There are a lot of downsides of tourism, one being an excessive focus on souvenirs and low quality products. But in small little places, where the financial and natural resources are limited, it supplies an important income. 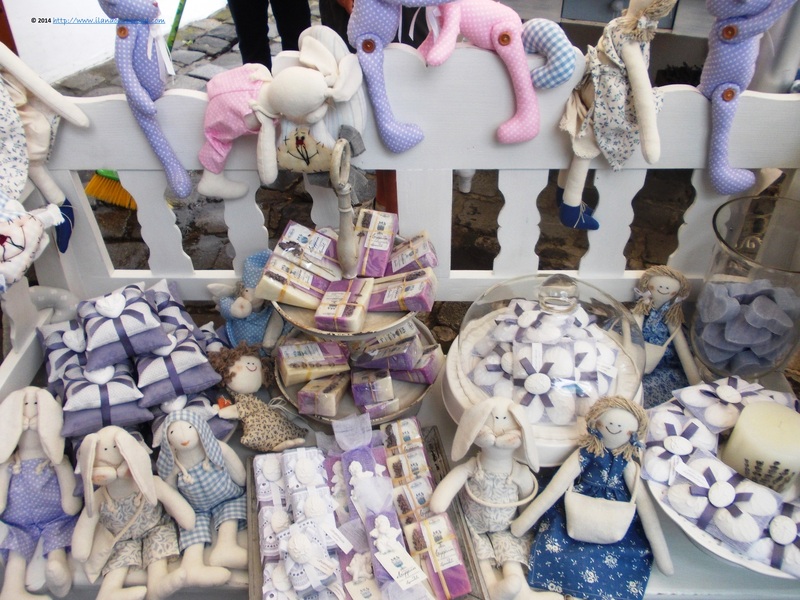 Although excessive, the traditional shopping in Szentendre is sometimes too cute to criticise it: from the lavender stuffed toys to fine jewellery inspired by Hungarian traditional models of beautiful skirts hand sewed, sold at relatively accessible prices. 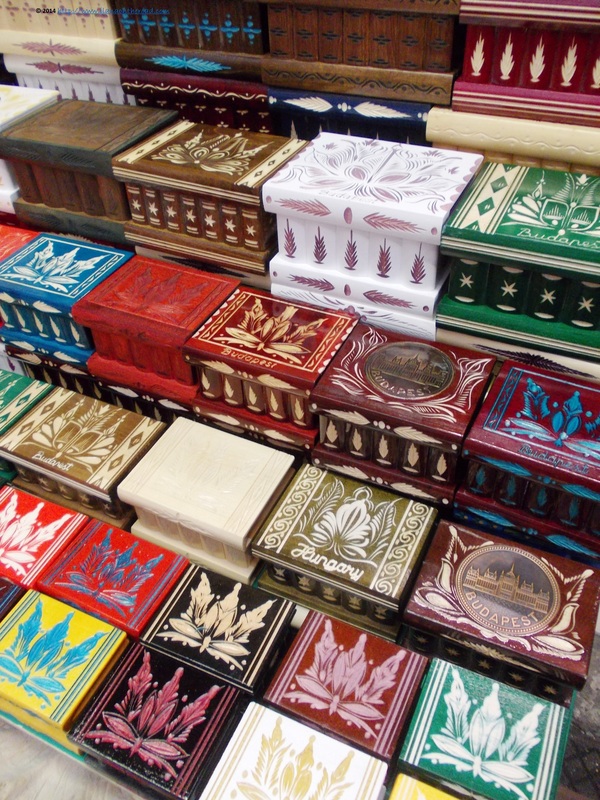 Smaller or bigger wooden boxes, with secret openings remind me of childhood, and everyone is too nice to not stay over and over in the shop trying to catch up with the language while watching new tricks about how to open those boxes. Small streets are leading to the heart of the maze of street, a bit far near the small hill, where people are living and less tourists are curious to go. 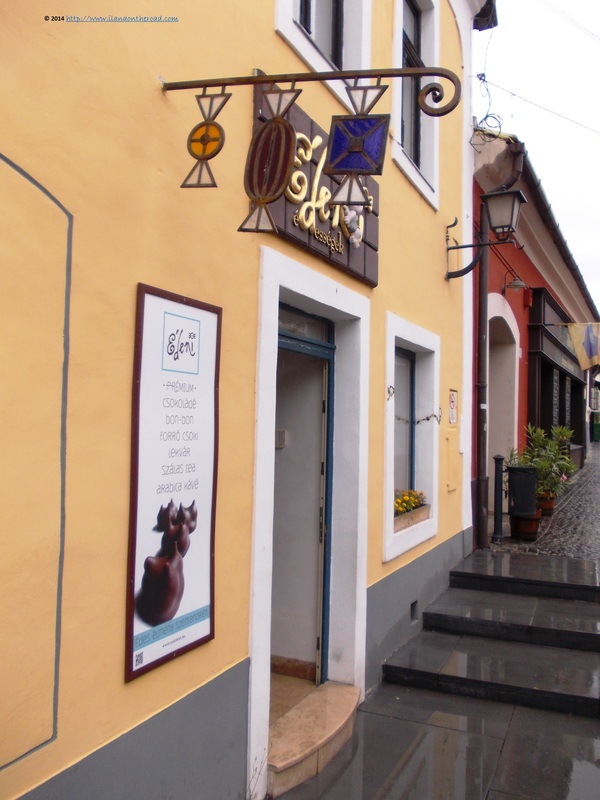 Traditionally, Szentendre was established as a town of painters which explains some colourful facades, or just the adventurous spirit that with a little bit of attention one can notice on the streets. There are a couple of art galleries, but not directly near the main tourist avenue. After the first half on hour of walking, we realize that we should pay attention to every detail, look at the windows or at the doors to spot some unexpected details that are part of the picturesque spirit of the place. 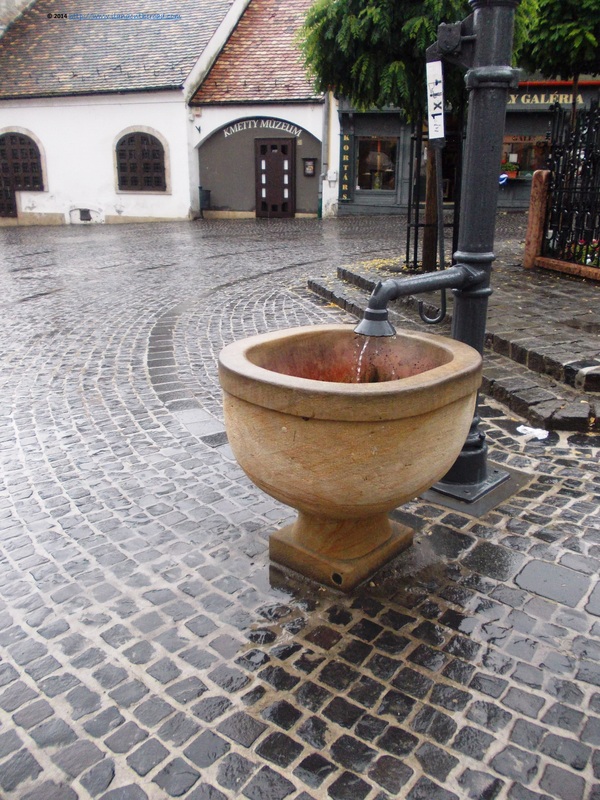 In the main square, there is a little fountain, where our guide advices us to drink from if we want to meet our other special half. Sometimes, wishful thinking can be very helpful, but I rather stay away for more water for now. Wish I can find out more details about this urban legend created around the lovers' fountain. Unexpectedly, we arrive at a small house, with a sign that I can clearly read: Marzipan House. It looks like Hansel und Graetel little cottage, and I am brave enough and very much in love with the marzipan to risk a visit. 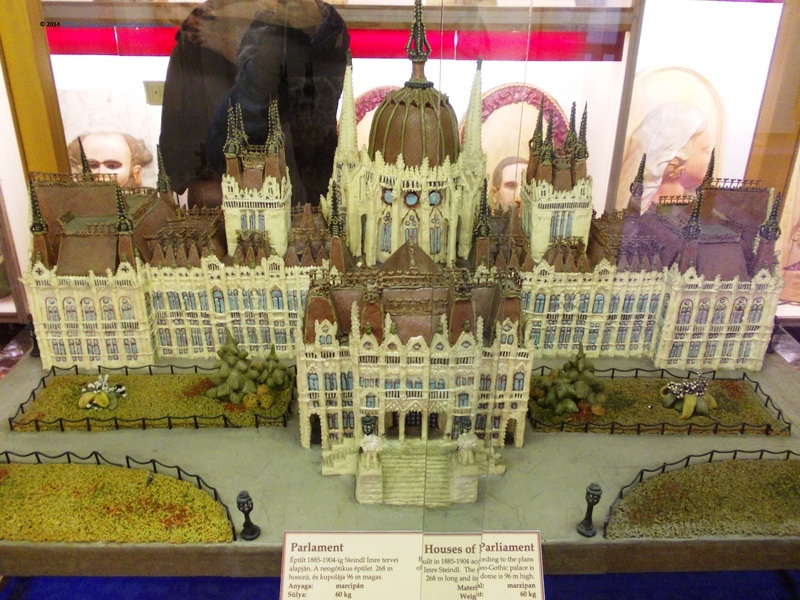 From Lady Diana to Michael Jackson or characters from the Hungarian history or from the fairy tales, everything is made with care and a lot of marzipan. It's incredible how much work and how many details can be done. Mozart's violin took 25 hours of work, we read, while in some other cases, the amount can reach 336 hours or more. Here is a short video of some of the sweet beauties from the museum. Of course, I did not miss the opportunity for a tasting: it's a bit less sweeter than the one I had in the German capital city of marzipan, Lübeck, nutty, with smell and good taste of vanilla. I buy some for the later sweet tooth from the local shop, and move forward for more walking in the rain. For those less keen to have some rainy walks, there are plenty of restaurants, mostly serving traditional Hungarian food and sweet pancakes or icecream. 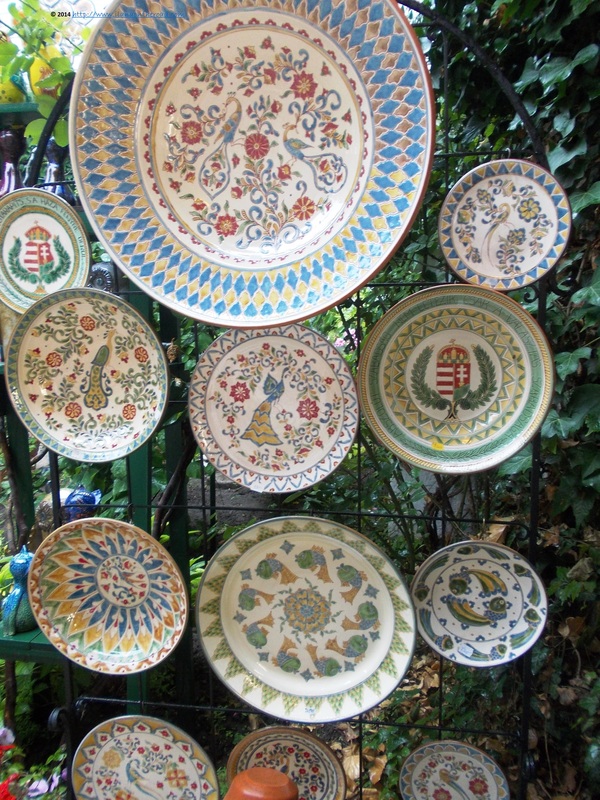 Beautiful pottery, adorned with local motives or national symbols are displayed everywhere. The visitors looking for something more elegant for their tables, can find maybe what they are looking for at the local Herend shop, selling traditional Hungarian hand painted porcelain. It's hardly anything that you cannot find here: metal keys or bells, or antiquities, clothes or shoes, jewellery or some dried paprika. 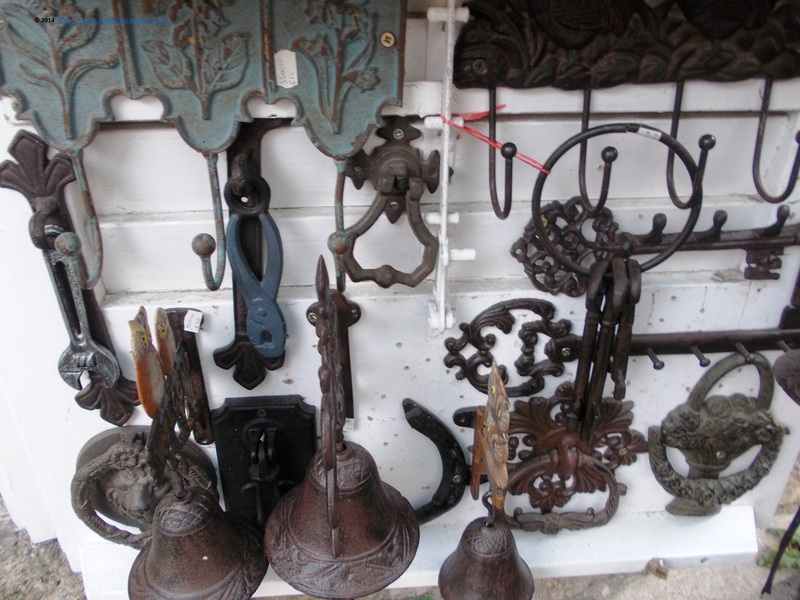 A little tour only will help you to have a serious overview of the Hungarian folk traditions. The same can be said for the architecture, with the small colourful houses in yellow and white, with some touches of blue for the most courageous builders. Back to Budapest, with the boat, I sum up that the day might have not been a success in terms of photo opportunities, but I finally made it there and I spend some enjoyable hours in a small colourful settlement. With some sweet marzipan bonus. Not bad at all for a short one-day trip. 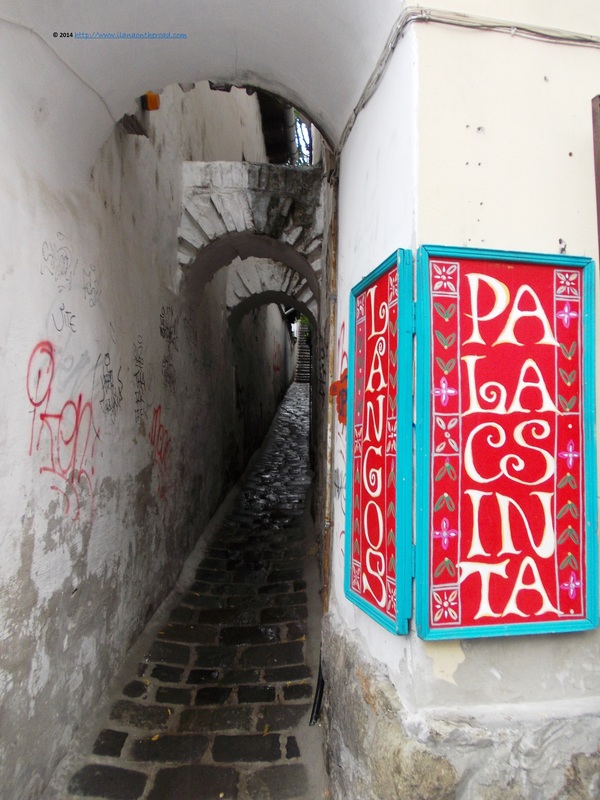 My dedicated Pinterest boards can show you more pictures from Visegrad - http://www.pinterest.com/ilanaontheroad/visegrad-hungary/ - and Szentendre - http://www.pinterest.com/ilanaontheroad/szentendre-hungary/.